JewishPost.com - When Social Welfare Meets the Jewish Community Is Jewish Poverty an Oxymoron? 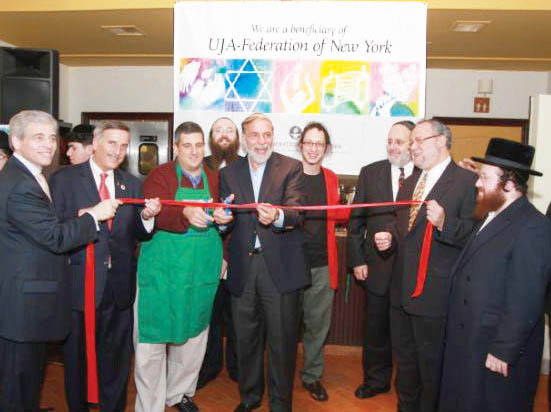 When Social Welfare Meets the Jewish Community Is Jewish Poverty an Oxymoron? Jews have historically cared for the needy and sheltered the poor, through charitable giving and through founding and supporting organizations that fed, housed, visited, cured and lifted those who could not help themselves. But what about the poor Jews - the lonely widows, the misbegotten immigrants, the large families that struggled for food - are they sufficiently sheltered and taken care of? In our persistent belief in the wealth and strength of the Jewish community, have we forgotten about the high numbers of Jews who are poor? Over 20% of the New York Jewish community is poor. In 2002, that number was 244,000, and included over 50,000 children. With today's recession, that number has swelled indefinably - we won't know by how much until the next Jewish poverty report, based off of the coming year's US census. New York City's high costs of living affect another population as well: those who aren't technically poor, but whose income fails to cover their expenses. Known as the "working-poor," these are individuals and families who work full-time, but can't cover medical co-pays if an emergency arises, and can't buy school supplies or extra clothing for a child starting school. They are technically "making it," but if an unforeseen expense or job layoff comes along, they are unable to swallow the circumstance and are at risk for losing their apartment, buying food and falling through the cracks completely. They are our friends, family members and neighbors. They are 50-something couples living in Manhattan with one or two children out of the house and both spouses working until one suffers a job loss and they can no longer afford rent payments and health coverage. They are young families in Queens with three or four children, the mother works part-time and the father has just lost his job in financial services - they're running up a massive credit card debt as the father sends out resume after resume hoping for an interview. They are elderly Russian immigrants who live simply in a small apartment and subsist on social security and help from their grown daughter - when that daughter loses her job, they are forced to move in with other relatives and can barely afford food or warm clothing. These are the Jewish victims of the recession, living in all five boroughs of New York City. These are real stories that we've seen and heard and are trying to help. According to recent data from the Food Bank for New York City, 48% of New Yorkers are food insecure. That means that nearly 550,000 Jewish New Yorkers are having trouble affording food, including 84,271 seniors and 122,016 children. In addition, Jews often have more trouble due to the higher costs of kosher food. Even Jews who do not keep strict kosher often eat only kosher meat, which is where the price differences are most glaring. 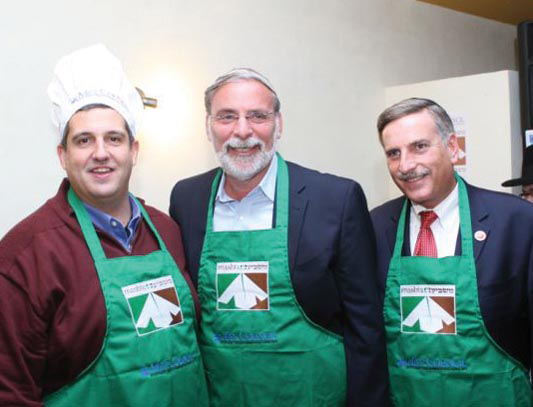 During a non-recession period, many middle-income families have trouble affording kosher meat, and now with the layoffs and down economy the numbers of Jewish families having difficulty affording quality protein and nutritious food have skyrocketed. Anecdotally, Met Council has seen over a 30% increase at nearly all of our local food pantries for food assistance, and some pantries have reported increases as high as 40%. With the increased clientele and the reduced ability of many donors to open their pockets, we need all the help we can get to ensure that no one goes hungry. There are ways for all of us, regardless of where we live or work, to help our community during these hard times. If you think a neighbor is suffering, look out for warning signs - friends' shoes may start looking shabby, they may look stressed and worn out and have stopped inviting Shabbat guests. Their children may be avoiding school trips or birthday parties and may look tired or sad. 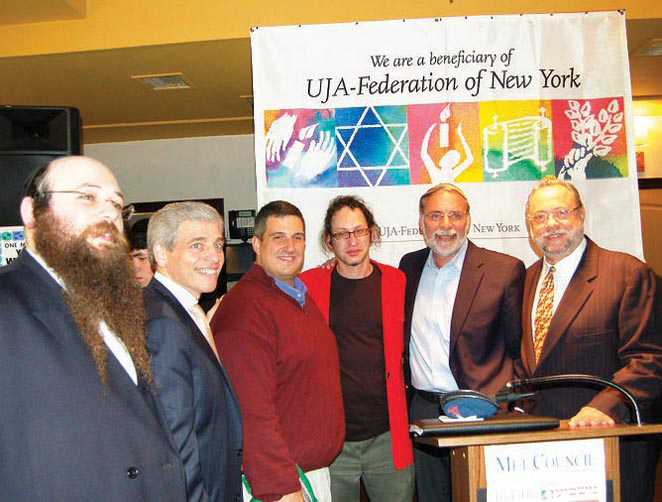 If you think a friend has been laid off or is in need of help, try directing him or her to social service agencies like Met Council, UJA-Federation's Connect-to-Care initiative or others in the New York area. The more normal and comfortable we can make "getting help," the stronger and better-positioned our community will be to weather crises and sustain financial stability. Ultimately, we have to come together as a community to withstand this storm and remain intact. By committing whatever funds or resources we have to social services for the Jewish community and by helping to raise awareness of these issues instead of sweeping them under the rug, we'll not only make a difference now in the lives of those who are hurting, we'll help shift our community's priorities in the future. Jewish poverty has been a painful, overlooked issue for so long. Let's use this economic downturn to recognize the reality and respond appropriately to those among us who are in need. 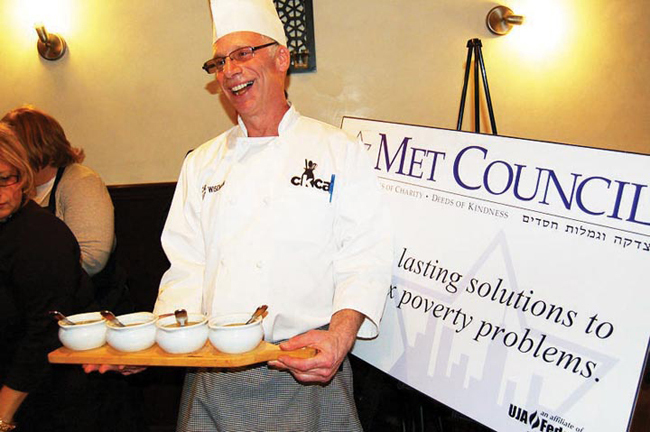 For more information on Met Council, visit www.metcouncil.org or call 212-453-9500. To reach UJA-Federation's Connect to Care, call 1-877-UJA-NYJ11 or email connect-to-care@ujafedny.org.